Above is a comparison of a HD replacement shaft (top) and a replacement assembly (bottom). I believe the so called HD shafts are no longer available. 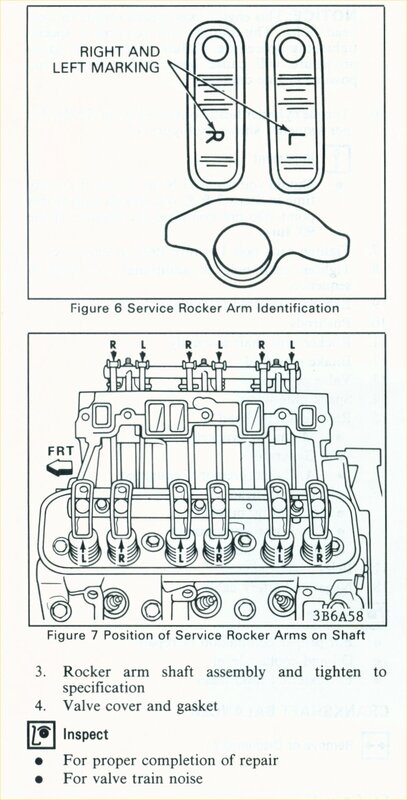 Besides noting that the upper assembly is obviously broken, one can see that it was probably assembled by a refugee from a body shop as all the rockers are marked "L" whereas the lower unit is correctly assembled "L-R-L-R-L-R"
At the bottom of the page are pictures from the shop manual regarding the correct installation oriented. It is important for to install them correctly. 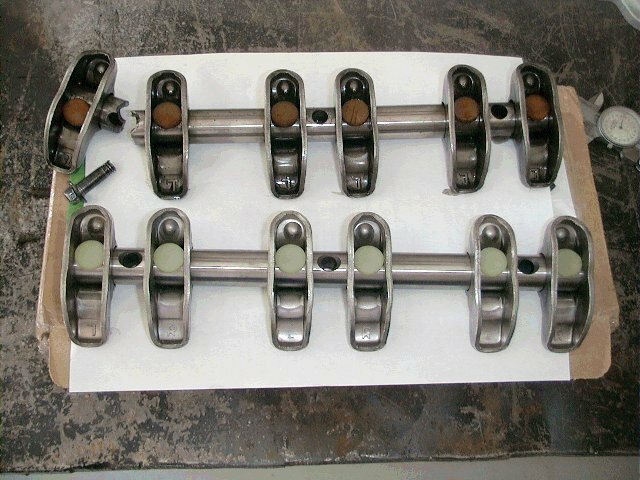 The upper shaft had about 20,000 miles on it and breakage may have been accelerated by the stiffer springs and higher rpm associated with a roller cam. 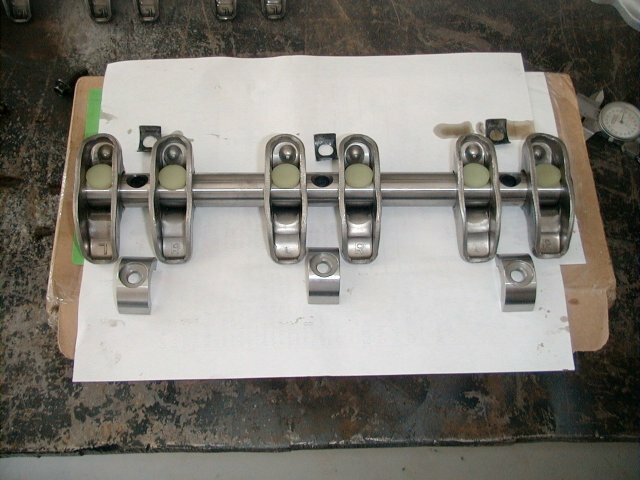 It has been suggested in the past that the HD units may be more brittle than stock assemblies. Whether this is fact or speculation, I don't know. Above is the new assembly accompanied by the rocker shaft supports sold by RJC Racing and the shims I used under the shaft to correct lifter preload. The supports distribute the load over a wider area and should help minimize breakage problems as shown in the upper picture.